Ferrari's fire and ice pairing of Fernando Alonso and Kimi Raikkonen has, in the words of team president Luca di Montezemolo, put two roosters in the same henhouse. Which of the two drivers will be crowing loudest come the end of the season is one of the questions all of Formula One wants answered. While Alonso is the incumbent, starting his fifth year at Maranello, the returning Raikkonen remains Ferrari's most recent world champion and that still counts for plenty as far as the passionate tifosi are concerned. Both were winners last season, Raikkonen for Lotus in the Australian season-opener just as he was in his 2007 championship year with Ferrari, and both have shown they are tough nuts to crack mentally. Both want to win another title, neither takes kindly to playing a supporting role. 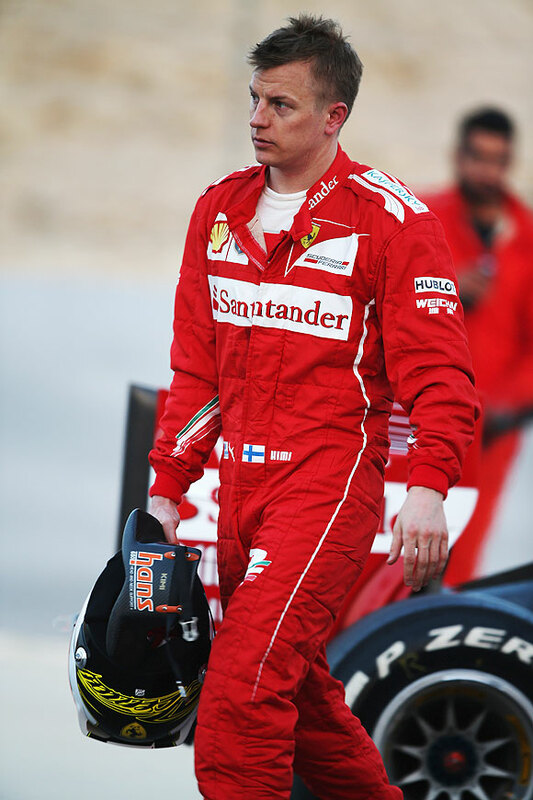 "We are going to race against each other like every year," Raikkonen, 34, said at the launch of the new car in January. "It doesn't matter who is your teammate. "We have respect for each other and obviously we both try to come out on top." Spaniard Alonso, now 32 and world champion with Renault in 2005 and 2006, is a circuit samurai -- his fighting philosophy encapsulated in the swordsman tattooed on his back -- while the glacial Raikkonen has 'Iceman' inscribed on his forearm. 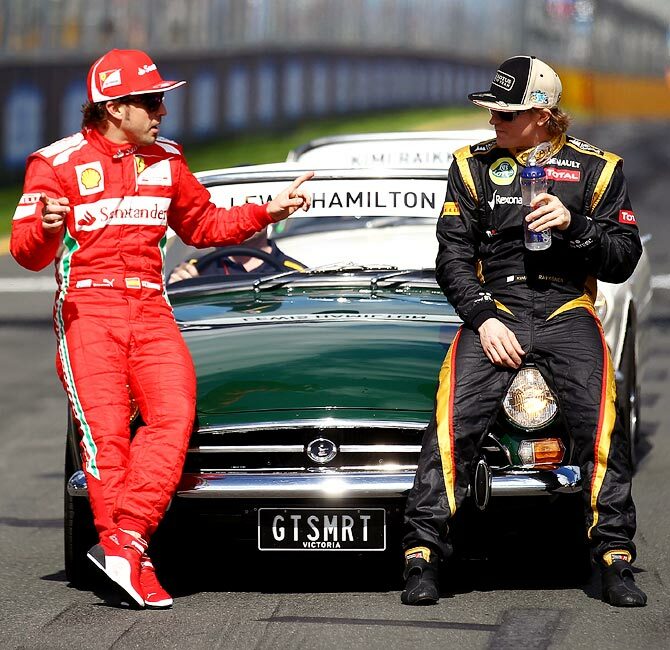 As the circus prepares for the opening race in Melbourne on March 16, the two Ferrari drivers --contrasting characters if not entirely polar opposites -- present one of the more intriguing sub-plots to the season. 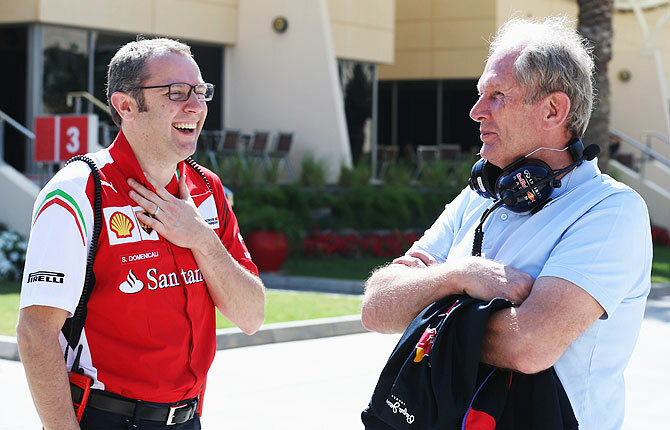 "I think Stefano is going to be busier than I am this year," commented Red Bull principal Christian Horner, who has a new driver in Australian Daniel Ricciardo, of his Ferrari counterpart Stefano Domenicali. Ferrari will have their hands full but, if they can keep a lid on any fireworks, the situation could work to their advantage. Any team needs both of its drivers to be pushing each other on and finishing on the podium in the chase for the constructors' championship, a crown Ferrari last won in 2008 when Raikkonen was with them. Brazilian Felipe Massa failed to do that in his time alongside Alonso and Raikkonen's first task will be to keep Alonso on his toes. Out-qualifying the Spaniard will certainly achieve that aim. "Kimi will lift him (Alonso) and help him get a bit more out of himself on Saturday afternoons," Australian Mark Webber, a friend of Alonso's who was Sebastian Vettel's teammate at Red Bull until the end of last year, said after the move was announced. "On Sunday's there's no question. 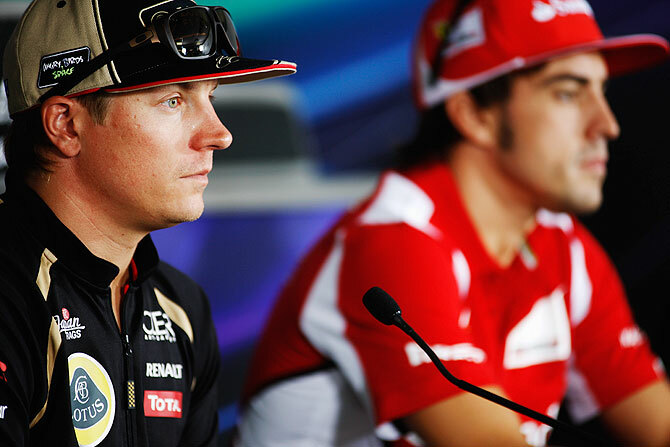 We know Fernando is a brilliant racer, but on Saturdays Kimi will lift him to another level." Di Montezemolo, who has been seen it all before over his decades at Ferrari, told reporters in December that the drivers knew exactly what the team expected of them: The team always comes first. "Putting together Alonso and Raikkonen could be dangerous. But in Formula One...everything is potential danger," he said then. 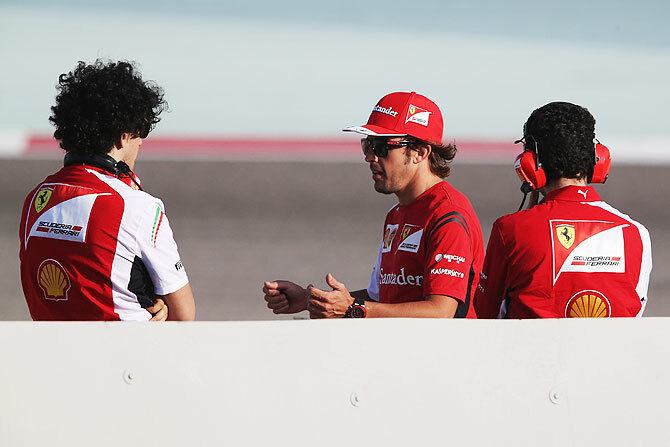 "I think that Fernando knows that he drives not for himself but for Ferrari. And Raikkonen knows that he is in the second half of his career, two very important years for him, with experience and responsibilities." Much will depend on how competitive the Ferrari is, with Mercedes already looking like the team to beat while champions Red Bull wrestle with problems linked to the new Renault V6 power unit. If the car turns out to be a winner, and both drivers are challenging for the top of the podium, the internal politics at Ferrari will require a firm hand but Domenicali is confident his drivers will work together. He said last month that the returning Raikkonen was more mature, and closer to the team, than he had been when he left Maranello in 2009 to make way for Alonso's arrival. Raikkonen appeared demotivated for much of the 2008 season, when Massa led Ferrari's title campaign and almost won the championship, but he answered the doubters with a strong comeback at Lotus in 2012. There is no question that he is serious about his second stint at Ferrari, who are paying him handsomely for his services. The Finn, who has always preferred to do his talking on the track but did speak out when Lotus failed to pay his salary, missed the last two races of 2013 to have back surgery so he could be fully fit for the start of the new campaign. "He knows his worth and he knows what team he has returned to and what challenges he will face, having a world champion like Alonso alongside him for whom he has respect and he will have to adapt to working with him," said Domenicali. "I hope the track will show that it was the right choice," he added of the pairing. "How will we manage them? Decisions are always carefully considered, but they always have the same aim which is that the sporting decisions are taken to reach the team's goals, as the interest of the team always comes before all else." The HOTTEST Sporting Buzz is here!